This is sweet! 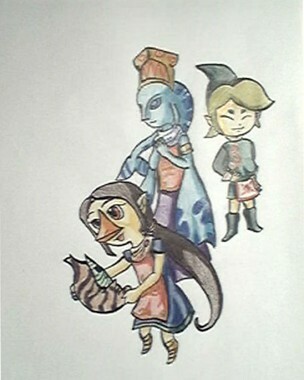 *votes 5* I like how Medli turned out! i think they could be a bit more centered andprominent, and again, the colored are a bit drained. however, the Sages do look quite good. i have stopped commenting vaati_girl, or at least, i have ceased to include tangible content in my comments to Linkgirl. now they're as vacously hollow as everyone else's, so far as Linkgirl is concerned. she sent me an email concerning this and i reply via the same channel. this comment is simply to defend what little honor i have in this gallery. dats coo man! they are ma fave characters!